Since 1999, Mid-Florida Roofing has served Orlando and the surrounding areas and provided quality roofing repair services for local businesses. In that time, we’ve built a solid reputation as commercial roofing contractors who put our customers’ needs first and go above and beyond expectations. We specialize in commercial roofing and operate as a Owens Corning preferred contractor, ensuring the roof gets done right the first time and with the highest-grade of roofing materials possible. We provide a thorough inspection and evaluation, making sure that we not only repair existing damage but check for potential problem areas. We install new roof vents, repair areas around skylights and chimneys. We can also repair fascia and siding and clean the gutters to prevent future clogs and water damage. When storms damage your roof, Mid-Florida Roofing has you covered. We offer 24-hour emergency roofing repair services to make sure nothing stops your business from operating at 100% efficiency. Our roof repair services come with a five-year manufacturer’s warranty and a 15-year extended warranty for added protection. If you’re in need of emergency roof repair services for your business, call us now at (407) 221-8554. If you have increased energy bills, your money could be escaping through the roof. We’ll inspect the ventilation and replace it with VentSure products to keep your indoor temperatures from fluctuating throughout the day. We can also install new WeatherLock waterproofing underlayment to prevent water damage in the future. Let us do a site tour and help you decide which roofing materials would benefit your business. Leaky, saggy and moldy roofs don’t necessarily require full replacement services. Give us a call so that we can evaluate the damage and take the necessary course of action to repair your roof and protect your business. In many cases, replacing a few shingles or repairing blistered areas can fix the problem and save you money and headaches. 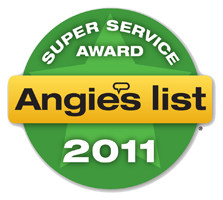 We have an Angie’s List Super Service Award as proof to show our commitment to providing top-quality customer service. 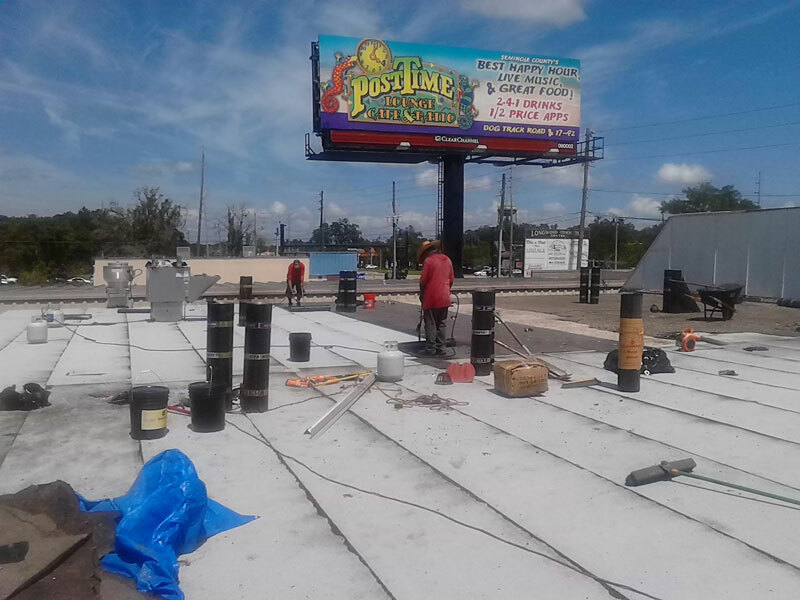 If you need commercial roof repair, Mid-Florida Roofing can handle the job quickly and efficiently. Whether you need a few shingles replaced or a new roof installation, we’ll take care of it all and back our work with a 100% satisfaction guarantee.